Unbothered by the roaming impalas, zebras, and warthogs, I was utterly taken back by the natural beauty of Ezulwini Valley meaning place of heaven. I needed to practice my siswati which quite the challenge because of the clicks, yes clicks. I was officially learning “the clicking language” which was so similar to zulu. 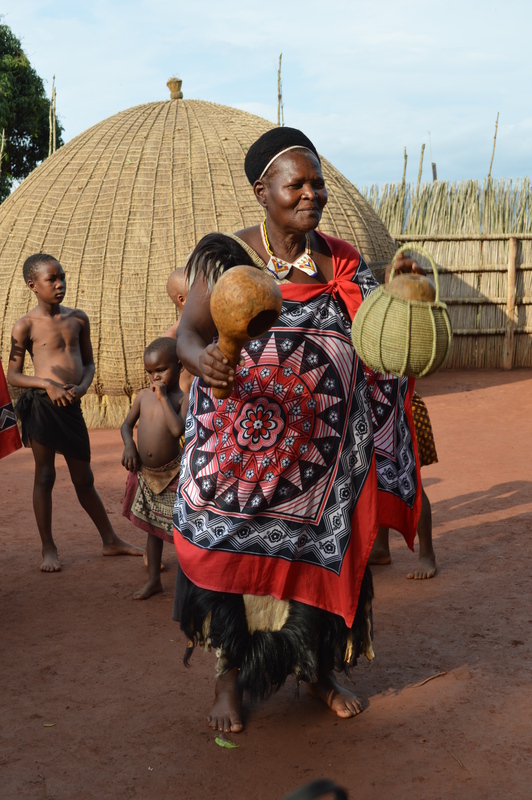 I arrived at the mantenga village and was fascinated by the traditional beehive hut thatched with dry grass. I was waiting amongst others for the chief to arrive and to my surprise, the chief was an elderly woman with blue eyes. 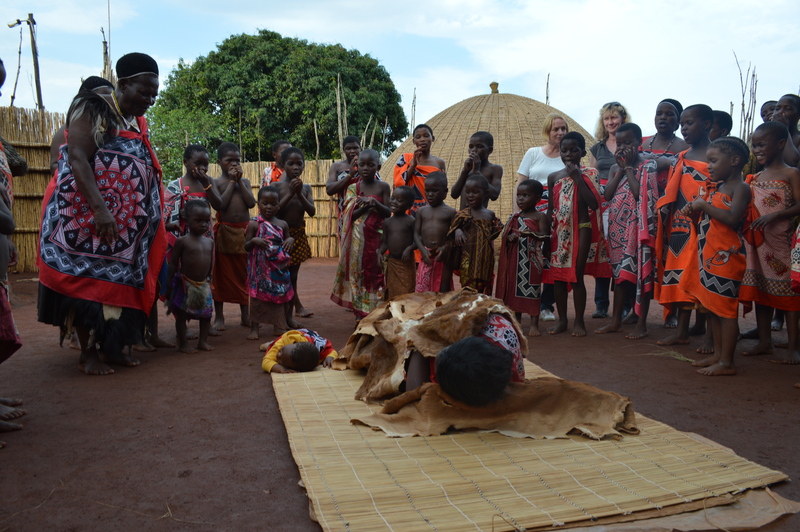 The chief introduced us guest to the ways of village women through traditional song, basket weaving, and food. I was most impressed with the women’s weaving practices and customs; They go high into the valley and gather dried grass which is used weave baskets, jewelry and necessary housewares. 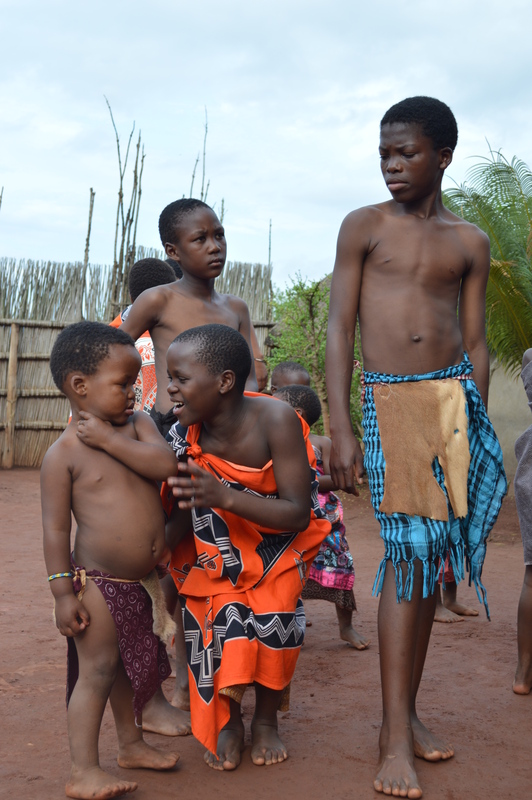 Swati children playing before a traditional dance ceremony. 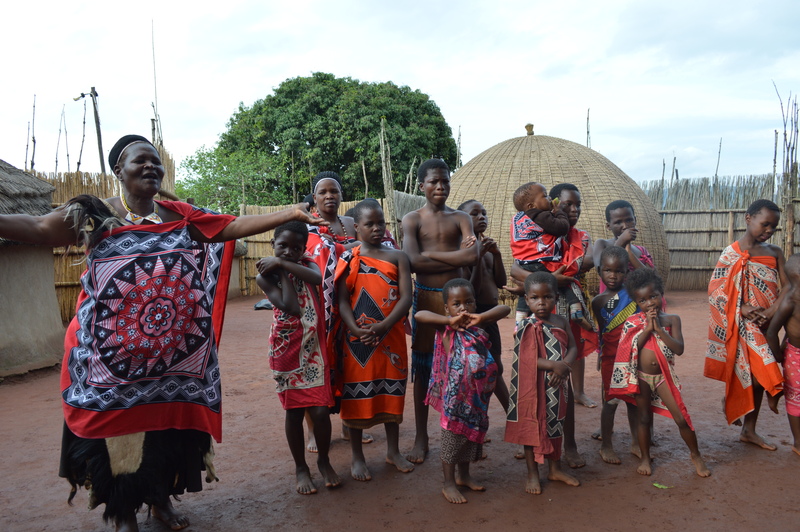 Chief explains weaving costumes amongst swati women. 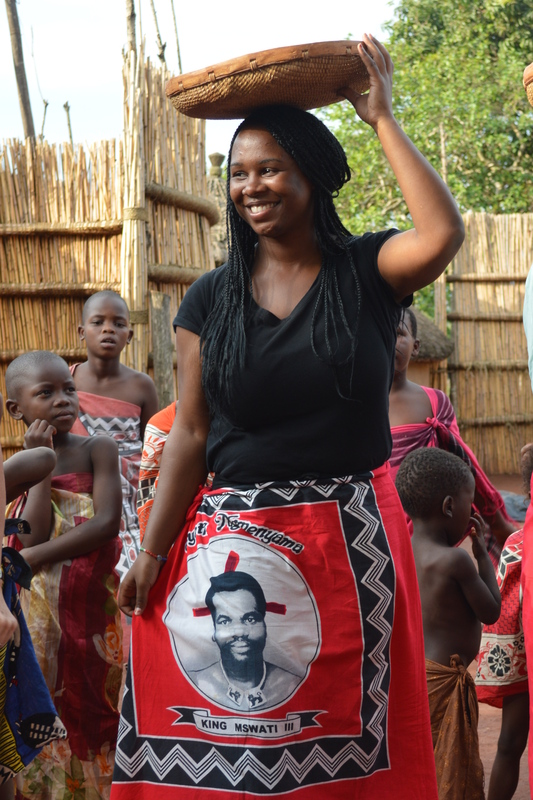 I left the mantenga village full spirited with a deeper appreciation for Swati culture. 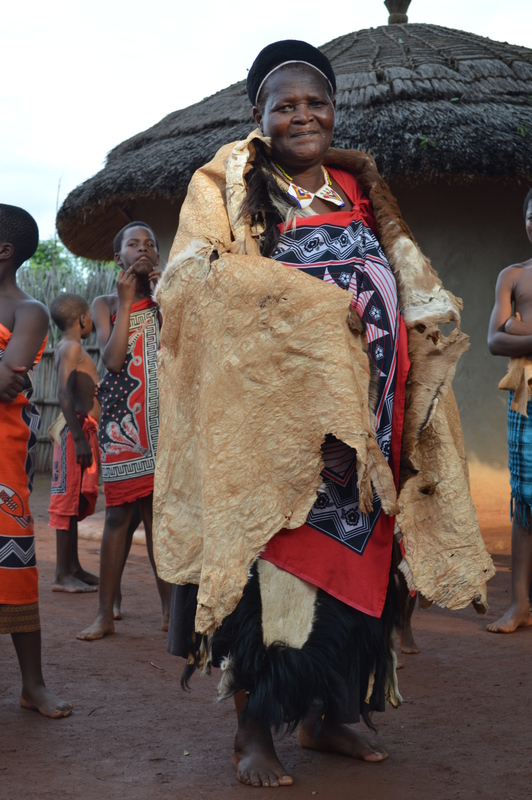 zwati cultural is amazing. You look great in your traditional skirt and basket on your head. Thanks for sharing.